We are a locally run business and have been designing and manufacturing high quality signs since 1984 – operating throughout Devon and its surrounding counties. In excess of more than 50 years of combined experience throughout the sign industry has given Devon Signs an enviable reputation for high quality and reliability – making us the leading specialists in sign production in the area. Our continuous reinvestment into our business means that we are able to manufacture signs using the latest technologies. Whether you are looking for a straight forward digital print or looking to integrate a combination of materials to achieve your objective, we have the expertise to provide you with what you are looking for. 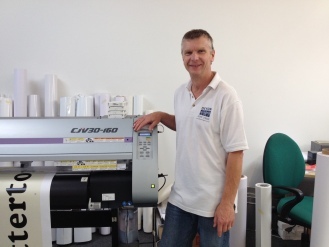 has been manufacturing signs since leaving Exeter college in 1975 working for a local sign company, established Devon Signs in 1984. Peters interests include; Motorcycling, Sailing & Skiing. Supporting local charities; in 2011 took part in a four man team (4men4charities) cycling from John O’Groats to Lands End. 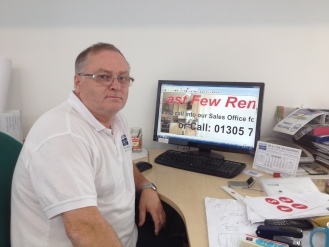 has been in sign manufacturing since 1975 working with both national & international companies and joined Devon Signs as a partner in 1990. Trevor enjoys IT and driving, and is proud to be associated with Dawlish Warren Life Saving Club in raising much needed club sponsorship.